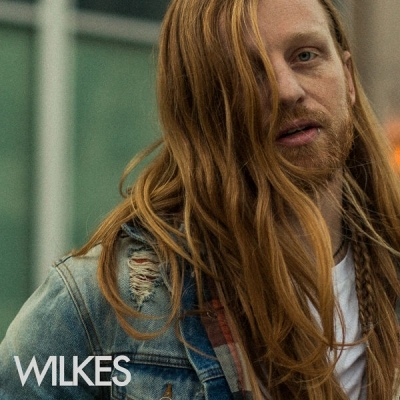 Georgia-based artist and Nashville songwriter, WILKES fully encompasses the pop/rock sound over a country lyric on his recent self-titled EP, available now at all digital stores. Raised in rural Cedartown, Georgia, WILKES’ parents recognized his musical gift when he started playing drums at the age of six. Around that time, he began singing southern gospel with his older brother and younger sister - ultimately beginning the arduous process of honing his vocal craft. In the years following, WILKES vocals developed into something special and unique. At the age of 16, he joined pop/rock band, High Flight Society, as the lead singer and rhythm guitar player. Over a period of twelve years, the band released three records and worked with a few different record labels, including Word Records/Warner Brothers Records. After the tour for their last release commenced, they began playing as the band for Sam Hunt in the local bar and college scene around the Southeast. After the sudden death of their drummer in 2012, High Flight Society discontinued touring indefinitely. WILKES then joined the well-known rock band, Disciple, as the bass player, vocalist and co-lead vocalist. After three years of intense touring, WILKES decided to come off of the road to pursue a path in music that catered more toward what he wanted to achieve long-term: a career writing, singing and recording songs that reflected his upbringing in a small town, all-the-while incorporating sonic influences ranging across all styles of music. Most recently, WILKES signed a publishing deal with Dan Hodges Music on music row in Nashville, finished up a powerful run on NBC’s The Voice, and released his self-titled full production EP featuring 4 original songs and a cover of No Doubt’s Don’t Speak. With a multi-genre-spanning music career under his belt, WILKES is making waves in the country music scene as a powerhouse vocalist with the lyrical chops to draw in the listening audience from every corner of the country.